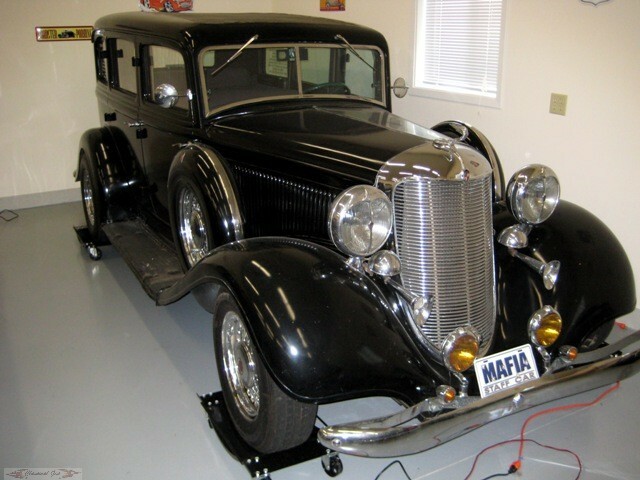 If you are looking for a good classic Street Rod that needs little work, this is the car! This classic has amazing bodylines and a great look. 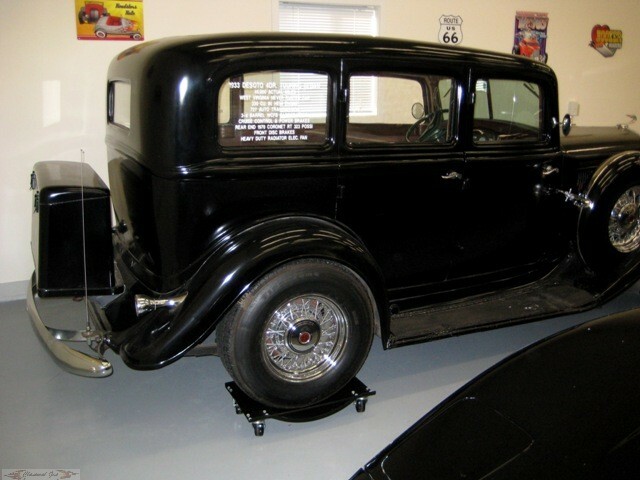 This 1933 Desoto is in great condition and needs very little to be a completed car. It is a great driver that can be driven as it is. Everything is in place even down to the Desoto logos on the side mounts. 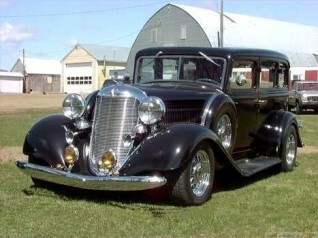 The car sits on classic 6 wire wheels which look amazing on this vintage and style of car. This car has been slightly street rodded, but all the original body parts and trim pieces are there. This includes everything from the classic lights and horns to the exterior trunk and rare dual side mounted spare wheels that are still in place. 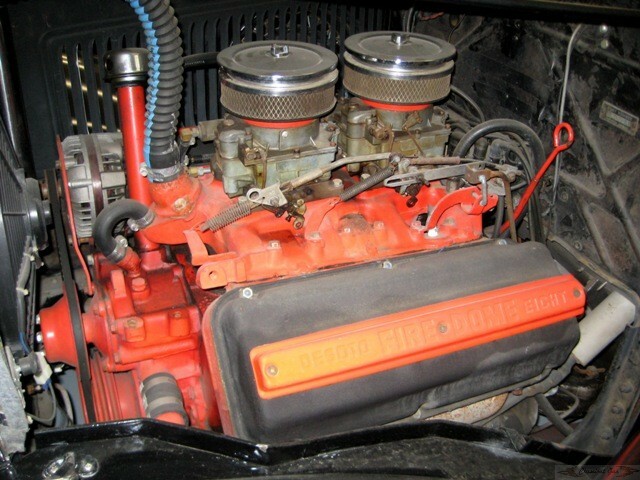 The 330 Hemi engine runs strong and just makes this car even rarer. Everything is in place and running smoothly. The twin 4 barrell WCFB carburetors are in place and adjusted perfectly. The 727 automatic transmission shifts smoothly with great timing. 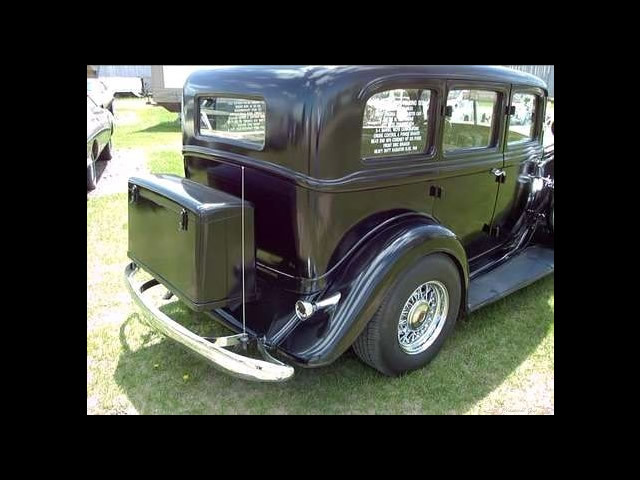 To keep the car running cool at all times a heavy duty radiator was added along with an electric fan. The car has power disc brakes in front and drum in rear. The 1970 Coronet rear end with 323 posi fits perfectly under this street rod and makes for a very strong rear end. Other additions include the dropped axle in front. 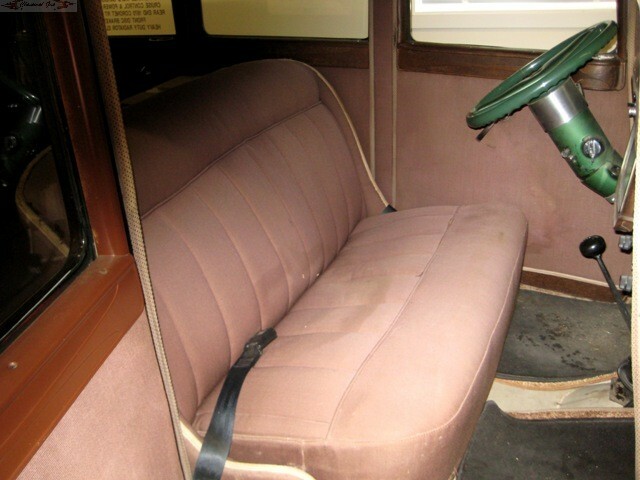 The interior is done in the classic burgundy cloth often found in original style 30\’s street rods. You wouldnt think a classic like this would have cruise control, but it does. This makes driving the car even easier! This is an incredibly straight car that has the potential to double in price! Don\’t miss this chance for only $36,750.00!